Last month, 70% of voters in Washington, DC approved an initiative to legalization possession and home growing of marijuana. Later in the month, a committee of DC's city council advanced "tax and regulate" legislation that would authorize store sales too. Unfortunately, drug warriors in Congress led by Rep. Andy Harris (R-MD) got language included in the pending "Continuing Resolution" omnibus bill to fund the government that would block tax and regulate legislation in the District, and which might block the initiative too. The rumor is that some (not all) Republicans wanted to stop DC from moving ahead, and that Democrats cut a deal. If you're in DC, there's a protest you can join today (Wednesday 12/10) -- a march from the Dept. 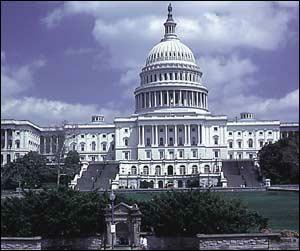 of Justice at 950 Pennsylvania Ave. NW, to the US Capitol, meeting at 5:00 with the march starting at 6:00pm. Thank you for taking action -- time, and the truth are on our side!